Responding to the industry need for a high-performance sensor that virtually eliminates nuisance alarms, Network Integrity Systems introduces the SENTINEL™ CS fence-mounted perimeter security solution. Hickory, NC – March 1, 2018 – As a leader in Network Infrastructure Cyber Security, Network Integrity Systems is pleased to introduce a line of Physical Security products to complement their industry-leading cyber security product lines. The SENTINEL™ CS fence-mounted perimeter security solution is a high-performance solution, ensuring the highest probability of detection while virtually eliminating nuisance alarms. Utilizing the same optical fiber-sensing technology incorporated into their INTERCEPTOR CS™ and VANGUARD CS™ products, Network Integrity System’s SENTINEL CS is optimized for perimeter fence line and critical asset intrusion detection. The proprietary CyberSecure IMS™ alarm management software application will be the common platform used to manage both the cyber and physical security devices offered by Network Integrity Systems. As such, an organization can have visibility and situational awareness regarding physical intrusions into both their indoor (within the building) and outdoor (building to building) network infrastructure, as well as their perimeter protection systems (fences, walls, etc.). SENTINEL™ CS will be unveiled at ISC West in Las Vegas, April 11-13, 2018. Since 2003, Network Integrity Systems has applied its expertise in optical fiber monitoring to prevent physical cyber attacks on network infrastructure. 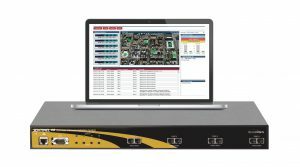 Our solutions perform continuous analysis of cables, pathways and points of vulnerability such as manholes, fence lines and equipment cabinets and monitor for intrusions that occur as a precursor to a physical cyber attack (tapping, theft of data) or damage that could degrade network performance or availability.